There are few things that are as impressive and inspire so much admiration as a beautifully constructed timber gate. From the simple and traditional to the grandiose and heavily ornate. 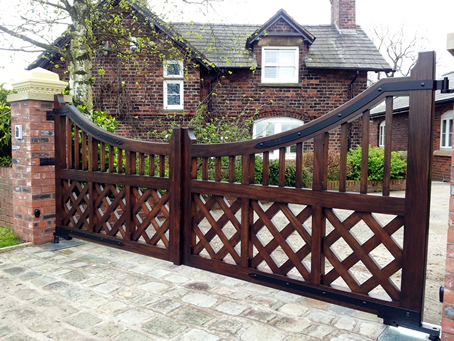 There is just something about a quality wooden driveway gate that speaks volumes about class and sophistication, all the more so when you are talking about bespoke timber gates. A large part of what makes wooden gates so appealing to the eye is the grain. There are many woods that are imprinted with that characteristically graceful combination of swirls and whorls that simply cannot be matched by any other material. Lancashire Gates Fully Supports the Use of Sustainable timber from managed forests; sustainable wood is a natural and eco-friendly solution to some of the problems we now face. These ecologically sourced raw materials must form some part of the answer to our world’s climate changes. Sustainable timber produced from well managed sources can truly be described as one of the planets most valuable resources. It is a recyclable material that can be produced on a mass scale, to be used in a whole variety of different purposes. Sustainable forests that are harvested and re-planted to give us sustainable woods are the only place to look when purchasing timber. 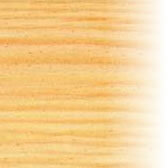 West African Idigbo is a straw coloured hardwood. Idigbo is a superb wood for people that want an oak alternative and amazingly lightweight compared to Oak. When treated, to the untrained eye it looks very similar to oak. This increasingly popular wood is harvested in Ghana and the Ivory Coast and is a good material for gates, combining looks and durability. Found in the mountains of Spain and the UK, especially in its native scotland, it is the only true pine indigenous to the British Isles. 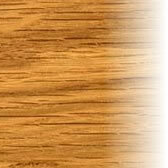 The sapwood is creamy-white to yellow in colour and the heartwood is pale yellowish-brown to reddish-brown, resinous and usually distinct from the sapwood. The growth rings are clearly marked by the denser late-wood. The quality of the timber is affected by the conditions of growth, climate, soil, elevation, etc, more than most timbers. The timber is strong and moderately hard. 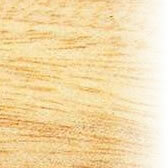 Oak is a hard and decorative wood with a particularly attractive figure in quarter-sawn material. It is a remarkable material; strong, extremely durable, heavy and attractive which makes it the ideal wood to use in the construction of gates. Oak is extremely durable outdoors and does not need any preservative treatment. Iroko is a West African hardwood with characteristics which make it ideal for use in the British climate. It is naturally resistant to decay and attack by insects which means that it should last for many years with very little maintenance. Traditionally used for ship and boat building, it is a popular alternative to Teak. Golden orange to dark nut brown, variations in colour equalise after short exposure to sunlight. Weathers to silver grey in approximately 12 months if left untreated. Regular treatment withTung Nut Oil, Danish Oil or garden furniture oil will preserve timber colour. 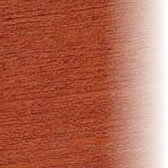 Sapele is found in the rain forests of West Africa. The sapwood is pale yellow or whitish, the heartwood pinkish when freshly cut, darkening to typical mahogany colour of reddish-brown. 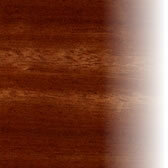 Sapele is characterised by a marked and regular stripe, particularly pronounced on quarter-sawn surfaces. Occasional mottle figure is present, it is fairly close textured, and the grain is interlocked. It is harder and heavier than African mahogany. weighing about 640 kg/m³ when dried. 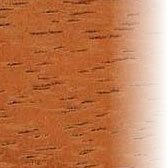 Sapele is much harder than African or American mahogany, is practically equal with English oak. Utile is found in West Africa. The wood is not very hard and thus is not very heavy. It has a fine but irregular texture which, in the radial sections creates a distinctive striping with various degrees of sheen produced by the multiple contractions of the grain as the tree grows. The species has good mechanical resistance, though it is fragile when struck. Also, because it has a good structure and makes very attractive gates, when polished it aquires a fine sheen and is often used as a substitute for Mahogany.